Boston-based Touloukian Touloukian Inc. is a small architecture firm that’s accomplishing big things. 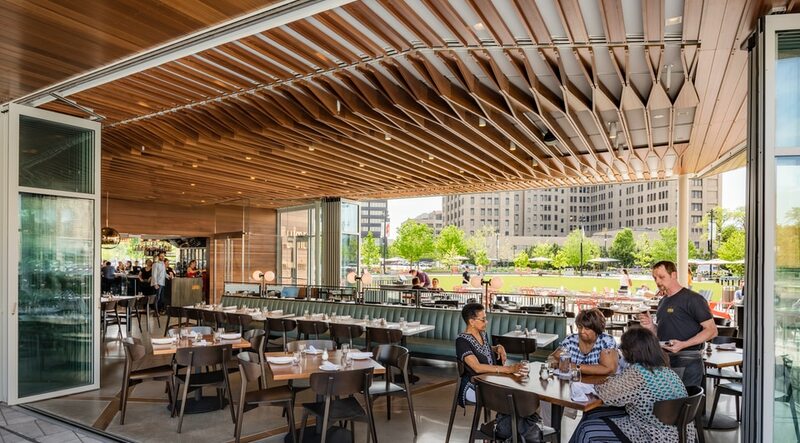 As part of the redevelopment of downtown Detroit’s Beacon Park, the architects created the award-winning Lumen restaurant building, designed to fuse innovative design with a historic sense of place. AutoCAD and the Architecture toolset help the company design for tight urban sites, manage zoning requirements, maintain historical oversight, and invest in a mission of environmentally responsible design. As the saying goes, sometimes big things come in small packages—and that’s true when it comes to Touloukian Touloukian, a multiple award–winning, nine-person architecture firm in Boston. Founded in 2003 by Theodore Touloukian, AIA, with a focus on civic and environmentally responsible design, the firm’s work has run the gamut from adaptive reuse of office spaces to multifamily development projects, private homes, places of worship, 19-story buildings, and even urban-revitalization projects in cities such as Detroit, Michigan and Buffalo, New York. Touloukian Touloukian’s work covers a diverse set of urban contexts where the uniqueness of each sense of place is the very generator that enriches the craft, experiential qualities, and overall relationships of architecture to its context. The firm respects what makes each place different, and it strives to uncover and connect this in its architectural expression. Take the firm’s work in downtown Detroit, for example. 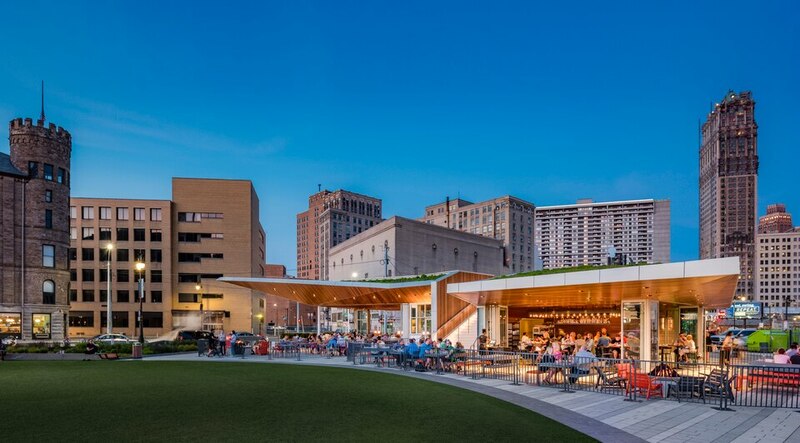 Formerly a desolate, nearly 10,000-square-foot lot on Grand River Avenue, Beacon Park is now home to an expanse of green space (by livingLAB landscape architects) and a restaurant building that Eater describes as “a striking, futuristic departure from the surrounding downtown architecture.” Welcome to Lumen. Lumen at Beacon Park in Detroit. © Anton Grassl Photography. It helps that urban integration is another of the firm’s fortes, one that can be chalked up to its Boston roots. In an innately historical city, any reuse of space or new construction needs to go through an extensive permitting process. Designing for tight urban sites requires navigating complex zoning laws, regulatory design review, resiliency testing, and historical oversight. That’s where AutoCAD and the Architecture toolset software make the difference. Lumen and surrounding Beacon Park are open for business. © Anton Grassl Photography. And Touloukian Touloukian’s design work is collaborative from the get-go, which requires an easy, standard foundation. “All of our work involves coordination with subcontractors,” Ramsdell says. “We frequently collaborate directly with subcontractors on the shop drawing process and during field installation. We enjoy collaborative projects and building relationships with the trades in the field. In addition, we will work with subcontractors during the design phase of the project to refine details that are both economical and beautiful. 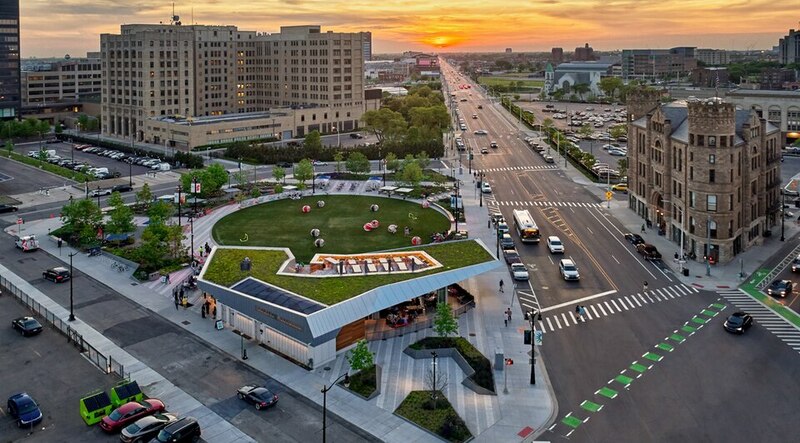 Detroit’s Beacon Park, featuring Lumen, from above. AutoCAD helped Touloukian Touloukian document and visualize zoning setbacks, heights, and other requirements. © Jason Keen. The work pays off. In 2017, Architect Magazine ranked Touloukian Touloukian at number 30 in the nation on its list of the Top 50 Firms—moving up two spots from 2016. The firm was also short listed for the 2017 World Architecture News—Practice of the Year, received an Honorable Mention for the 2017 American Architecture Prize—Professional Firm of the Year Award, and received 19 design awards across 8 projects in 2017 alone. Lumen at Beacon Park is a leading example of the firm’s work and has already been the recipient of 5 awards, including a 2018 American Architecture Award from The Chicago Athenaeum. This isn’t to say that none of this would have been accomplished without AutoCAD, but being able to work fast and with precision—while allowing for collaboration—has certainly helped the whole office at Touloukian Touloukian expand its range of work, invest in design that serves the greater good, and reach its mission of civic and environmentally responsible design. Subscribe to AutoCAD including specialized toolsets and gain access to 8,000+ intelligent objects and styles to help speed architectural design and drafting.